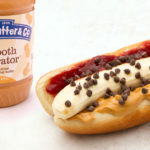 Peanut Butter & Co. - ilovepeanutbutter.com | Peanut Butter & Co. Sandwich Shop: The Banana Dog! Home / Recipes / Peanut Butter & Co. Sandwich Shop: The Banana Dog! Peanut Butter & Co. 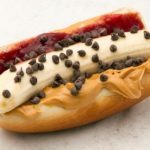 Sandwich Shop: The Banana Dog! Meet the Banana Dog! 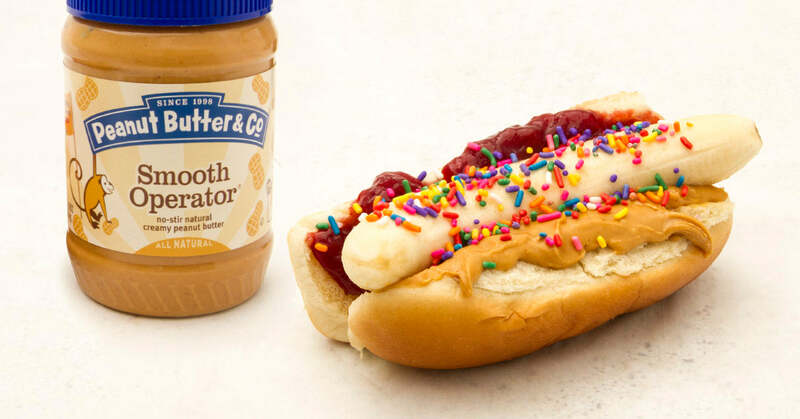 Kinda like a hotdog, but engineered to be the perfect vehicle for peanut butter & jelly. Everyone loves peanut butter & bananas, and this way, you can take it on the go! (And while we’re here–yep, it’s a sandwich.) 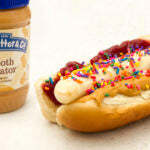 Whether you’re topping it with rainbow sprinkles or chocolate chips, the Banana Dog is sure to please! 1. Spread the peanut butter on one side of the roll. 2. Spread the jelly on the other side of the roll. 4. Garnish with sprinkles or chocolate chips. The post Peanut Butter & Co. Sandwich Shop: The Banana Dog! 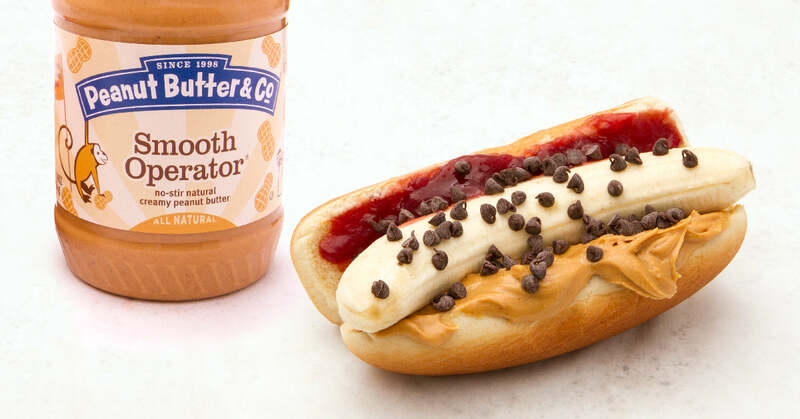 appeared first on - Peanut Butter & Co. Recipe Blog.